Massey Tower / 197 Yonge St. 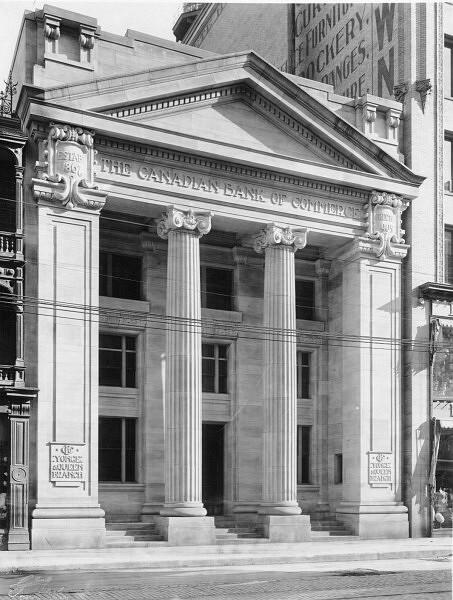 Designed and constructed in 1905 by the architects Darling and Pearson, 197 Yonge Street was constructed to house the Canadian Bank of Commerce Queen-Yonge branch. It was designed in the Classical style, as interpreted by Beaux Arts principles, and is today designated under Part IV of the Ontario Heritage Act. This local landmark is set to become the focus of a major redevelopment project called Massey Tower, led by MOD Developments in collaboration with ERA and Hariri Pontarini Architects. The 1905 building will be conserved, renovated, and integrated into a new mixed-use tower, bringing contemporary life to the historic site. 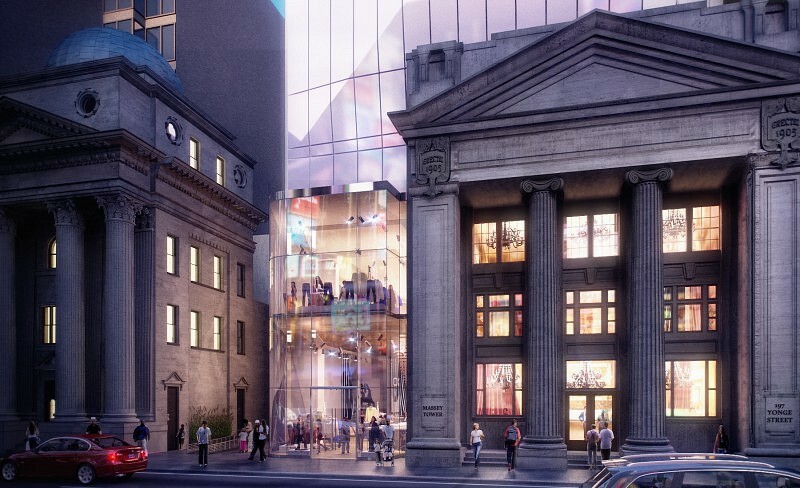 Both the tower and podium of the new design will be set back from the street, allowing this important heritage building to maintain its prominence on Yonge. Its four-storey portion will be preserved and remain intact, aside from minor alterations to provide barrier-free access.